Planning a touring holiday? Ensure 24-hour crystal-clear vision with this essential kit, designed with you in mind. 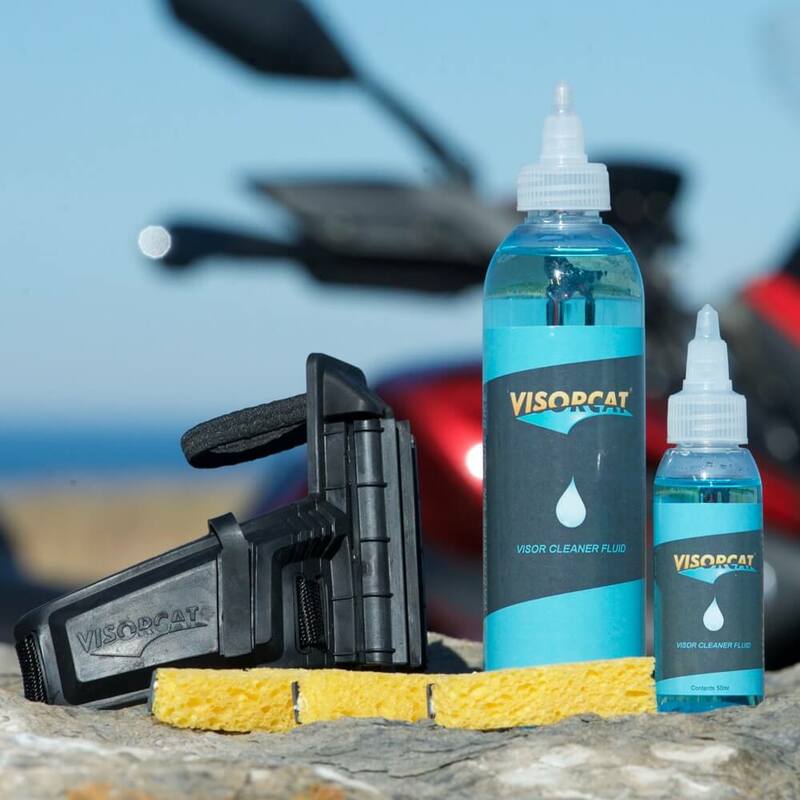 Visorcat enables you to wash and wipe your visor so you can enjoy the view in all conditions – but this touring pack gives you an extra three sponges, so you can have a clean one to hand – keep them in the resealable bag in your pocket for a quick change. Keep your pocket bottle topped up with fluid too – there’s a 250ml bottle in here to stash in your luggage. See better, ride safer – and happy touring. Tackle all conditions and all weathers on your next tour (or regular commute).